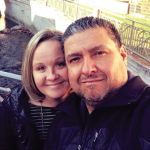 My wife Suzie and I have been serving the Lord in Europe as Calvary Chapel missionaries since November of 2004. The majority of our time has been spent in the countries of Poland and Greece. In Poland we were heavily involved in church planting and discipleship in the cities of Radom and Olsztyn. In February of 2011 the Lord led us to Athens, Greece where we continued until January of 2017. While there we encountered unexpected open doors to minister to refugees from Afghanistan and Iran. Ultimately this led us to co-plant a Farsi speaking church where I served as the co-lead pastor. In February of 2017 we stepped out into another venture of faith in response to an invitation to plant and pastor a new Calvary Chapel in the city of Kandern, Germany. Kandern is in southwest Germany, near the borders of France and Switzerland and is home not only to Germans, but also to a large population of North American expats. Currently we are in the beginning stages of planting Calvary Chapel Kandertal (Kandern Valley). We believe that the Lord has given us a vision to establish a bi-lingual (German and English) speaking church that is able to effectively minister to the dual culture of our region, and reach out to the border regions of our neighboring countries and beyond. We covet your prayers and support as we follow the steps that Jesus lays before us!